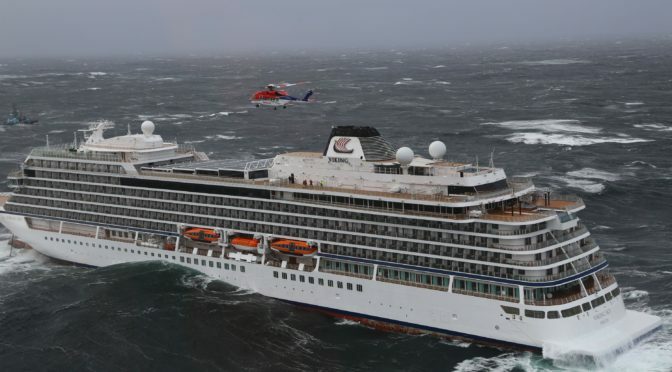 A Viking Sky cruise ship needed 1,373 passengers and crew on board to be evacuatedlast weekend − and those involved in the rescue mission hadn’t experienced a rescue this intense before. Rune Jansen a crewman from helicopter service CHC in Norway, spent 10 hours on the deck of the Viking Sky hoisting up passengers into a helicopter. The ship had sent out a mayday distress signal amid hazardous weather conditions and engine failure. Norwegian media reported gusts up to 43 mph and waves over 26 feet.